This week I finished up the trial-run of the "Garden" themed kit I'm developing for the Storytime-To-Go program. I pulled a number of books to try out before deciding on a final selection to order, and selected a number of songs, fingerplays, and rhymes. Variety is the key to avoiding burnout when doing as many as 35 storytimes on the same theme in two weeks! Here are the books and activities I ended up using (in addition to our "Letter-of-the-Day", which was "Gg", and our story song). Up, Down, and Around by Katherine Ayres and Nadine Barnard Westcott has bright, bold detailed illustrations with simple, repeating text showing how some vegetables grow up, some grow down (in the ground), and some grow around (on vines). You can add movement by having the kids stand up, sit down, or turn around when they hear the corresponding words in the story. How Does Your Garden Grow? by Kate Burns and Dawn Apperley is an older, short pop-up book that is good for younger kids. It is one of the few books that shows both flowers and vegetables growing in the garden. The kids seem to particularly like seeing the green beans grow up the poles, and the large sunflower blossom. Our Community Garden by Barbara Pollak shows children in a diverse neighborhood working in the community garden, each planting different vegetables. In the end, everyone make a dish from the vegetables they grew for a neighborhood pot-luck. I really like the opportunity to talk about and promote community gardens, and the diversity shown. The illustrations are colorful, but a bit fanciful in scale, which may confuse some. This book is a little longer, so better for older kids. Flower Garden by Eve Bunting and Kathryn Hewitt is a sweet story about a girl and her father planting a window box flower garden for her mom's birthday. The illustrations are charming and colorful, and again, I like how this portrays an urban setting, multi-cultural population, and shows another alternative way to have a garden if you don't have a yard. In Carrot Soup by John Segal, Rabbit's carrots have all disappeared from his garden! As he questions each animal, observant readers will notice the other animals in the distant background sneaking off with his carrots. Have the other animals stolen his carrots?!? But, all is not as it seems. Surprise! This is a great, funny book that kids really like. I just wish the illustrations were a little brighter and larger. Muncha! Muncha! Muncha! by Candace Fleming and G. Brian Karas is another humorous book that tests the kids' skills of observation. Mr. McGreely is determined to keep the bunnies from getting into his garden, but they still manage to get in and munch his veggies. But he finally defeats them in the end. Or does he? This is a little long, but the audience will enjoy saying the repeated "Muncha! Muncha! Muncha!" and predicting if and how the rabbits will get in. There's A Billy Goat In The Garden! by Laurel Dee Gugler and Clare Beaton is a short, funny, repetitive story that all ages enjoy. A goat gets into the garden, and each of the animals try, and fail, to get him out, until the little bee comes along. The audience can name each animal and make their sounds, and join in saying "....will/does NOT come out" each time. Elizabite: Adventures of a Carnivorous Plant by H. A. Rey is one I include simply because I like it (I've always been fascinated by venus flytraps). The funny tale of the biting plant that ultimately saves the day is told in rhyming text that helps engage the audience with cute illustrations. It also introduces vocabulary terms such as "carnivorous," "botanist," "frankfurter," and "burglar." After reading it, I show them pictures of real carnivorous plants from a non-fiction book. In Lola Plants a Garden by Anna McQuinn and Rosalind Beardshaw a young girl plans and plants a flower garden, with her mother's help. When the flowers have bloomed she invites her friends over for a garden party. I particularly like that it shows Lola going to the library to do research to plan her garden and choose what kind of flowers she plants. The story also includes the "Mary, Mary Quite Contrary" nursery rhyme. Simple, colorful illustrations. This Is The Sunflower by Lola M. Schaefer and Donald Crews is written in the style of "The House That Jack Built" and follows the growth cycle of the sunflower with a rhyming text that builds on itself with each step. The illustrations are bright and colorful, and since the story builds and repeats, the audience can join in with saying the most repeated lines. Planting A Rainbow by Lois Ehlert features her characteristic brightly colored illustrations. A unique feature of this book is that it shows growing flowers from bulbs and seedlings, in addition to starting from seeds, and explains the steps and time of year for each. Many different flowers of each color of the rainbow are shown. I do find the first part of this book gets a little tedious if you spend too much time name everything pictured. Big Yellow Sunflower by Frances Barry is a neat little book; instead of turning, the pages open outward to form a huge sunflower blossom by the end. 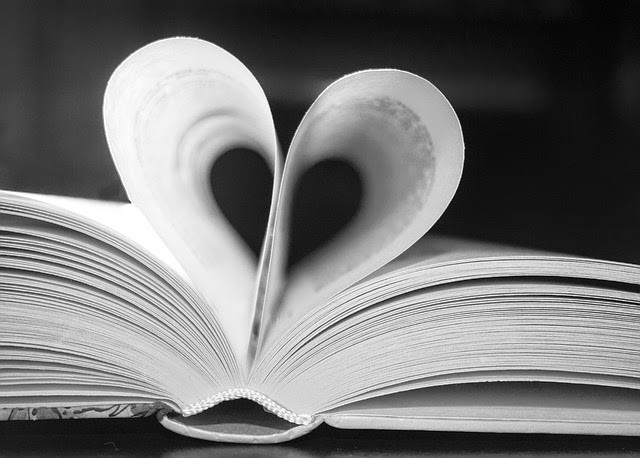 The book starts with a single seed, and each page shows another stage in the growth of plant, culminating in the blooming flower. The audience can name the creatures alongside the developing sunflower plant on each page. 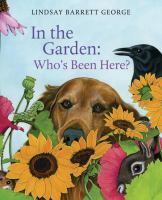 In The Garden: Who's Been Here by Lindsay Barrett George lets the audience try to figure out who has been in the garden, based on the evidence left behind. It is heavy on text, so will need to be paraphrased and greatly shortened. I found several good songs, rhymes, and fingerplays to go with this theme, more than I ended up using, so I'll save those for another time. "The Gardener Digs The Soil"
The gardener digs the soil. I also found this cute rhyme at Surlalune about what kinds of animals (and bugs) might be found in the garden, and lets the kids identify each one based on sound. I also made one of my favorite props, "animals-on-a-stick", in case they needed more help guessing. These props are so quick and easy to make! Just find clip art, cut it out and laminate it, then hot glue to craft sticks. Voila! Now, what can it be? That I can't really see. A FROG is what I found! In general, all the kids I visited during this rotation were more restless than usual. I don't know if it was the theme, the time of year, or the weather. I have to admit, I was a little disappointed in the books I was able to find. I really wish I could have found some that explained the whole process of growing a garden and how seeds sprout that were really engaging. I really liked the concept of My Community Garden, but it was just too wordy and the kids and I both found the off-scale of the pictures confusing. I've tried doing Up, Down, and Around several different ways, but it is never as well-recieved as I'd like it to be, and they often get too distracted by the very numerous bugs and critters in each picture. They kids did really like the funny books, Muncha, Muncha, Muncha; Carrot Soup (my personal favorite); and There's a Billy Goat In The Garden. They did okay with the others as well. I thought they would enjoy the song since they could act out the motions, but none of them really seemed to get into it like my regular storytime group does. They were impressed with my felt flower set, however. I think it was the faces in the centers with the googly eyes; googly eyes make everything better! If you know of any really engaging books about gardening and/or plant growth cycle, especially any good pop-ups that are in print, please share in the comments!